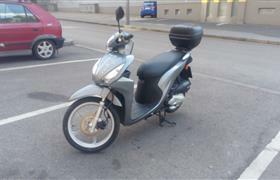 This high quality scooter with start-stop system is fuel-efficient and at the same time it's very powerful. It is a new model so it offers the very latest 21st century technology. Top case is included.